Our company provides an IT Maintenance Service to SME’s. We offer support to areas including Soho, Covent Gardens, Westminster, Kensington & Chelsea. Regular IT maintenance will help your system run efficiently. This ensures effective performance and also reduces support costs. Consistent IT Maintenance helps avoid unplanned downtime, security risks, and unpredictable information technology performance. From an IT Security point of view, preventative maintenance is essential to the security of your network. At Marshall Info Tech, we provide a free IT health check to review the maintenance standard of your IT Network. An IT maintenance plan is then created to meet your business needs. Microsoft produces bug-fixes and security updates for products on a regular basis. These fixes include server and desktop operating systems, Office applications, and Internet Explorer. Sometimes these updates download and install automatically. On some occasions, these updates are downloaded and not applied, and often they are not downloaded at all. This can expose your systems and databases to potential security breaches. At Marshall Info Tech Ltd we monitor all clients on your network, ensuring that we apply all updates and patches as and when required. We go one step further as before we release these updates to your network, we meticulously check them in a test environment. This is to ensure they will not cause any issues with your system. 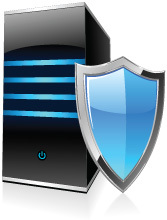 Although having an anti-virus protection on your computer is essential. It’s worthless if it’s not updated on a regular basis with the latest versions of the software and virus definitions. Why? Because you are exposing your business to potentially harmful viruses. 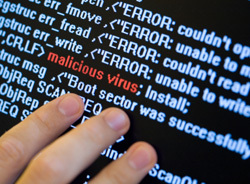 Marshall Info Tech’s monitoring software enables us to not only ensure that your anti-virus is working as it should, but also that your workstations and servers are up to date and protected. If a virus gets detected on your network, an incident ticket is automatically raised in our call management system. An engineer is then allocated to deal with the issue immediately. Our IT Maintenance Solution can be purchased as part of our Managed Services Offering.